Lynda joined Capital Asset Management, Inc. in 2018. Lynda opened McColl & Associates CPA practice in Mustang, Oklahoma which led to adding investment services in 2003. Before opening her own CPA practice, Lynda was very active in nonprofit organizations, which she contributes her leadership skills she holds today from. Lynda entered the office workforce in Dallas, TX in an Accounts Payable role for 11 years which eventually led her to become an Administrative Manager. Lynda accepted an Inventory Manager position with Cox Cable, which then led her to Oklahoma. Lynda joined Capital Asset Management because of the breadth of financial services it can provide. Lynda is from Texas. Lynda and her husband, Jim who is a retired controller live in Mustang, Oklahoma. Together, they have three adult children, eight grandchildren and one great grandchild. Lynda enjoys spending time with her large family. Lynda enjoyed her years as a Mommy and loved all the interaction she held within school and church activities. She credits her skills as an organizer and leader to her experience working with volunteers. Lynda still enjoys staying active volunteering for various activities. 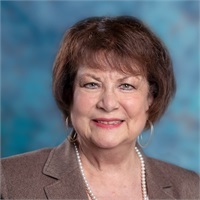 She recently got elected to a second 7 year term for the Redlands Community College Board of Regents. She also proudly serves as the Canadian County United Way President.